Dragon Saga (known outside the US as Dragonica) is a 3D side scrolling game developed by Gravity Games. The game launched throughout 2009 and 2010 across a number of regions and is published by different publishers on a per region basis. 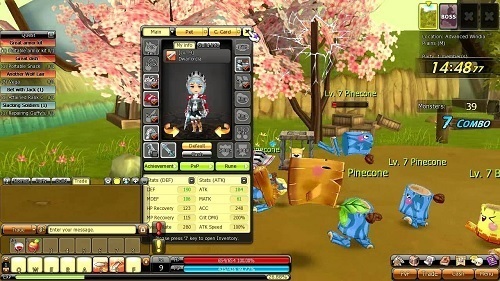 Dragon Saga has many similarities to the popular online MMORPG of MapleStory except that it brings the side scrolling genre into a 3D world. The game has received a regular stream of updates along with four huge expansion updates thus far that added huge amounts of new content to the core game. Dragon Saga takes place in a world originally ravaged by a great war with dragons. Thankfully a handful of powerful heroes were able to entrap the dragon leader (Dark Dragon Elga) in a dark prison and for thousands of years he stayed there, until recently. Since the game is a side scrolling experience players are mostly limited to travelling horizontally through the game maps although there is some vertical movement available to players. 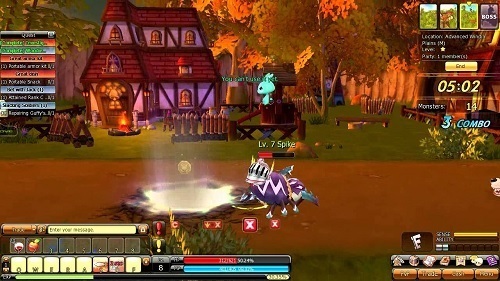 Combat is fast paced and takes place in a real time environment with players using their various special skills to deal damage. Players can also perform combos by using skills in a certain order which are important to learn to ensure long term success in Dragon Saga. Dragon Saga offers a great variety of classes options with over two dozen different classes available. Players will choose one starting class when they begin their Dragon Saga journey and then branch out with further class advancements. As you would expect the core archetypes of warrior, archer, magician and thief are available all with their own unique skills and skill tree. Most of your time in Dragon Saga will be spent tackling missions which are quite unique and a great change from the usual MMO grind. These missions are instance based and advance the main storyline while also offering item, currency and experience based rewards. Each of these missions generally has five stages of increasing difficulty with the fifth often serving as a boss battle. Players are then graded individually and given rewards based on that performance grade. Lots of character classes available. Unique mission focused storyline advancement. ow that remind me of the good old times when dragonica was still running. Well the american servers are still up and the game is experiencing a steady grow due to getting small but regular updates.